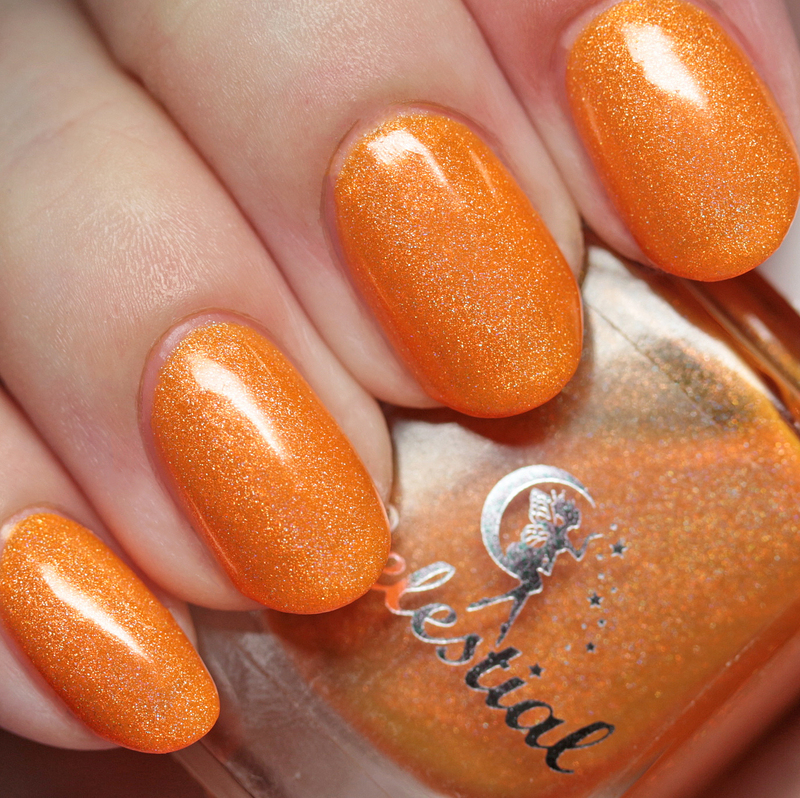 Celestial Cosmetics has completed her big move and is back to producing amazing collections. 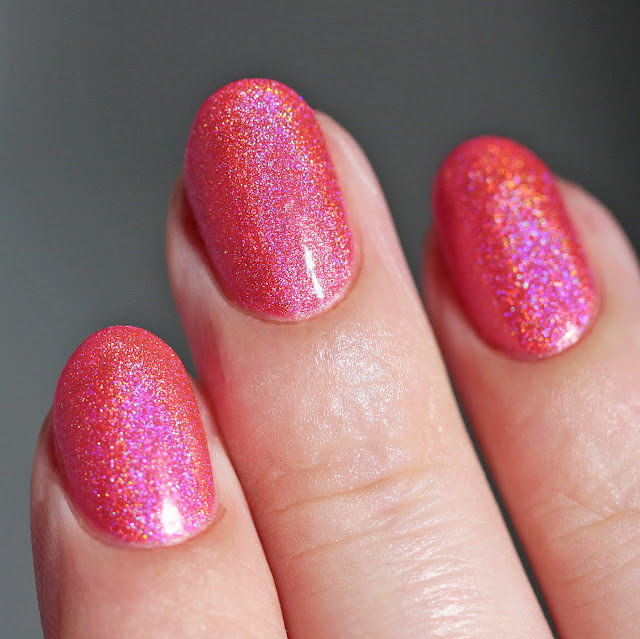 2018 off with a bang - the Back to the 80s Collection is HANDS DOWN the best neon holo collection I have ever tried. There are eight shades total, and I have the first four to show you today. 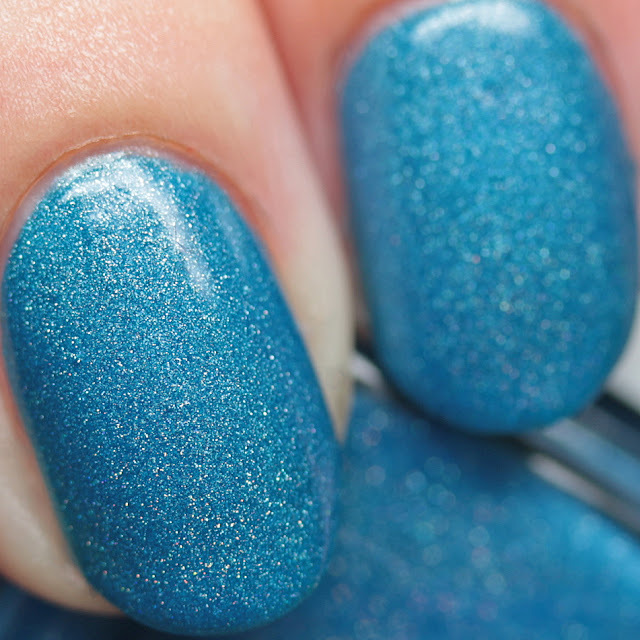 Neons are notoriously difficult to do in holo finishes because the neon pigment dulls holo, and holo makes warm colors in particular gray out or look muddy. 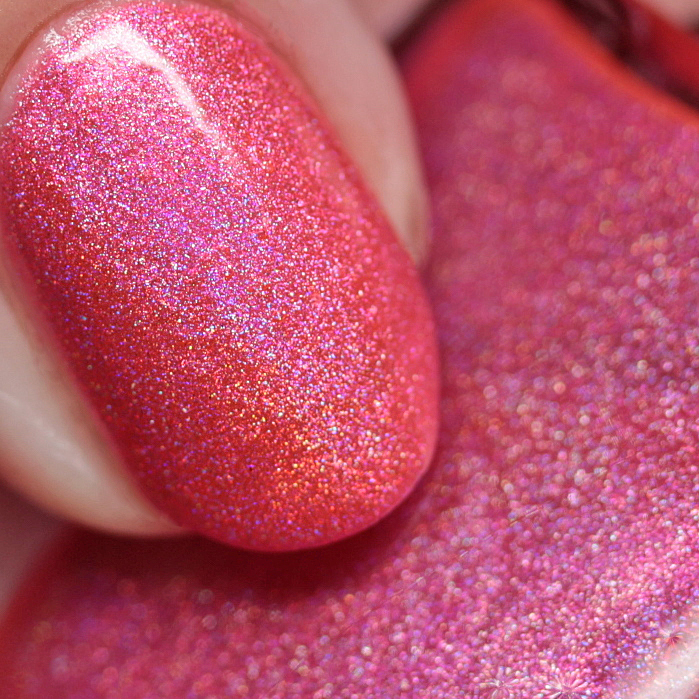 I don't know how Nicki did it, but these have zero issues and are completely amazing. Let's have a look! 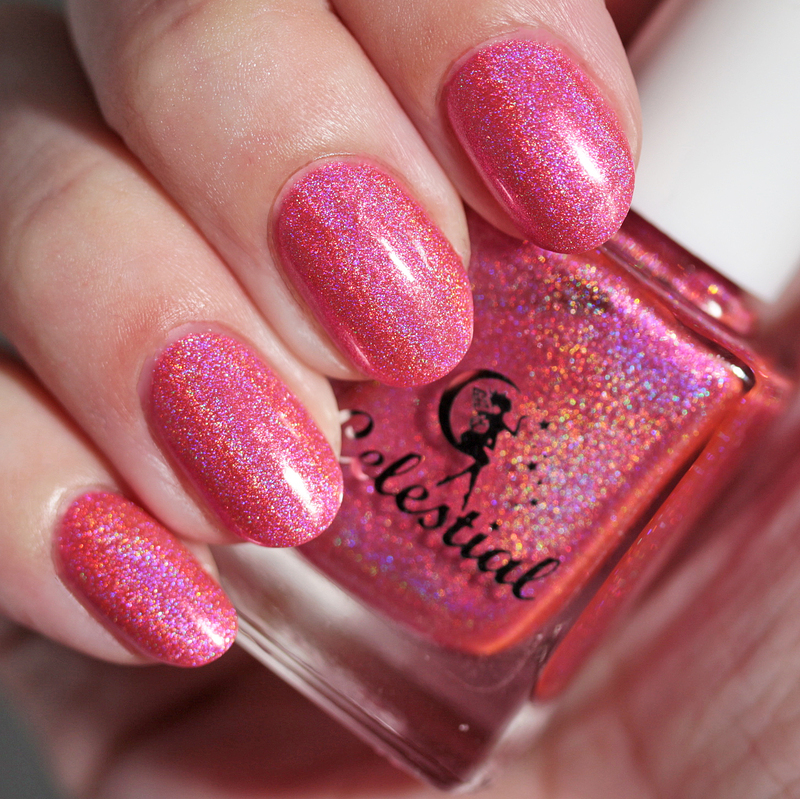 Celestial Cosmetics Atari Adventure is a neon traffic-cone-orange linear holo jelly. I wore it in four thin coats for maximum depth but two or three will do. Great formula and super vibrant. I was seriously impressed with this one! 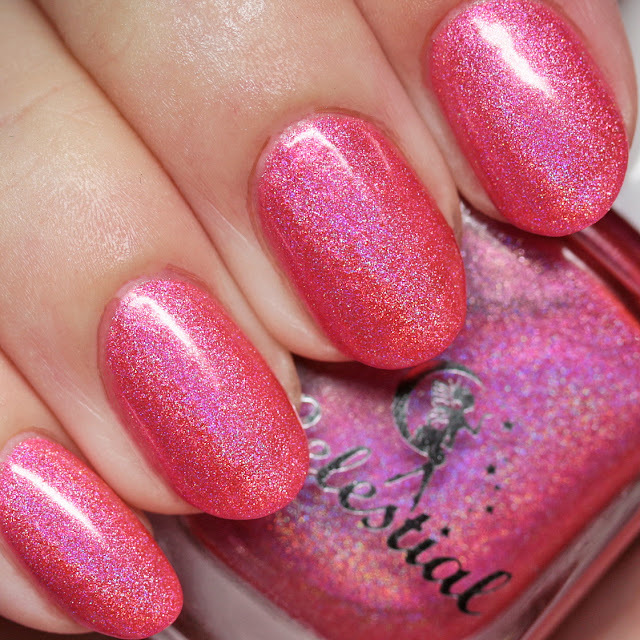 Celestial Cosmetics Big Hair Don't Care is a neon pink linear holo jelly, worn here in four thin coats, but two or three will do. 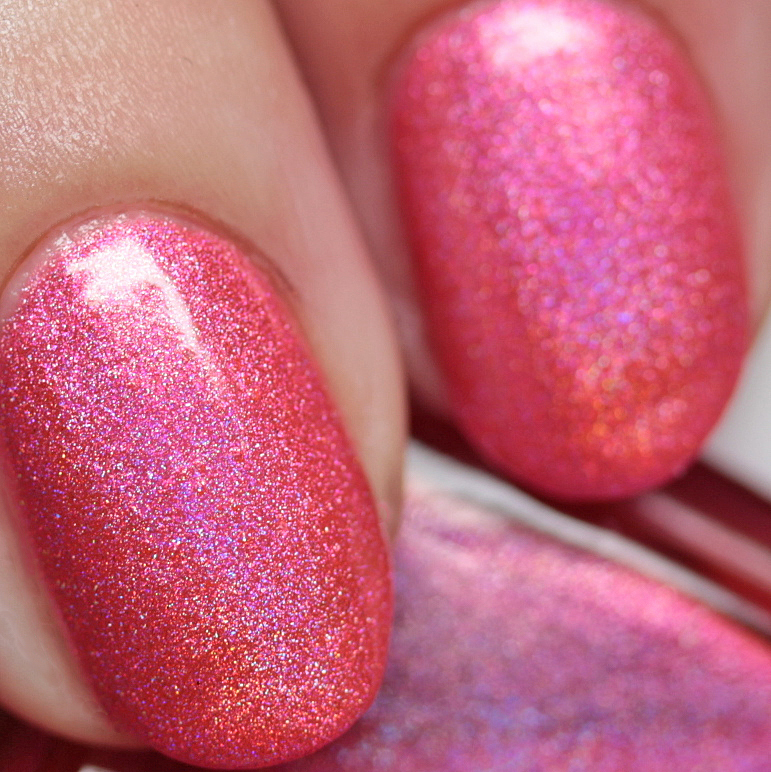 The holo on this is really strong and linear. Nice formula. 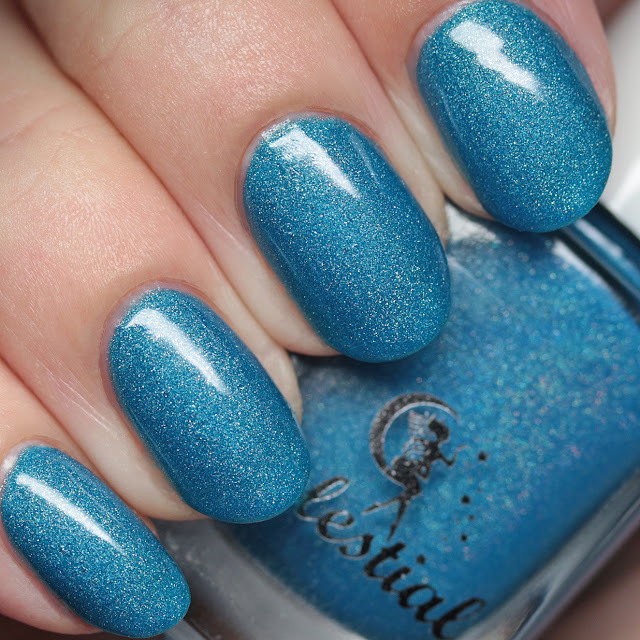 Celestial Cosmetics Care Bear Cuddles is a blue linear holo jelly, worn in three thin coats, but two will do. This one was slightly less linear than the others, but still strong. Nice, smooth formula. 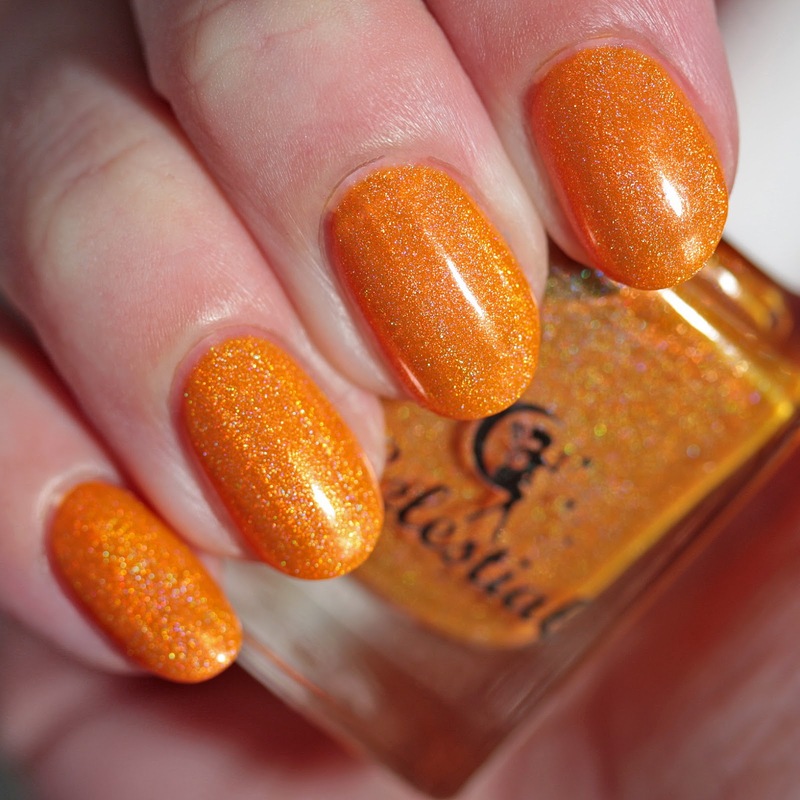 Celestial Cosmetics Hippos Are Hungry is a neon yellow-orange linear holo jelly. I wore this in four thin coats, but fewer will do. 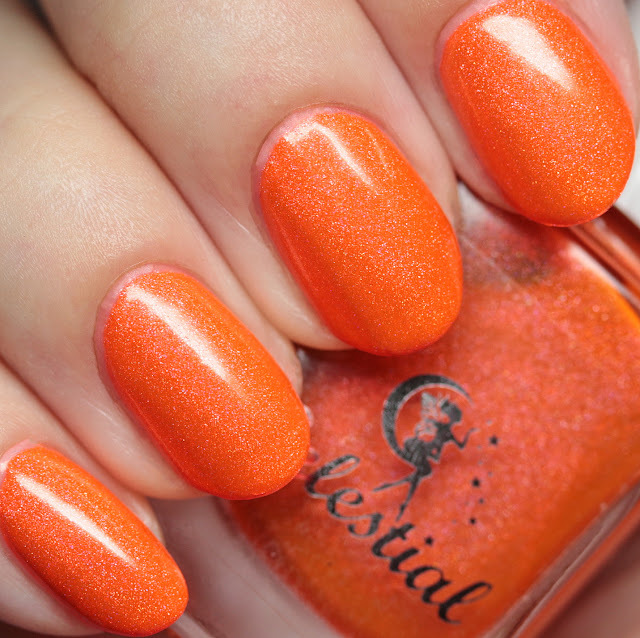 This is another super-bright, warm-toned neon. Wow does this have sparkle! 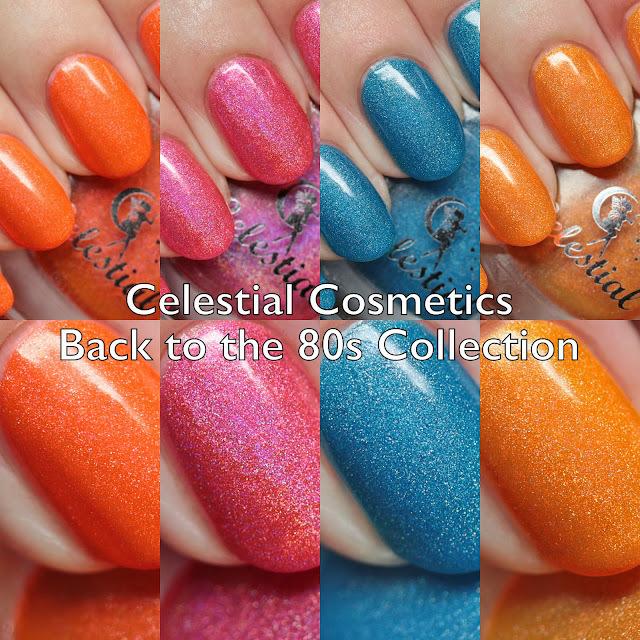 The Celestial Cosmetics Back to the 80s Collection is available now on both sites and priced at $11 each. I can't recommend this collection highly enough. 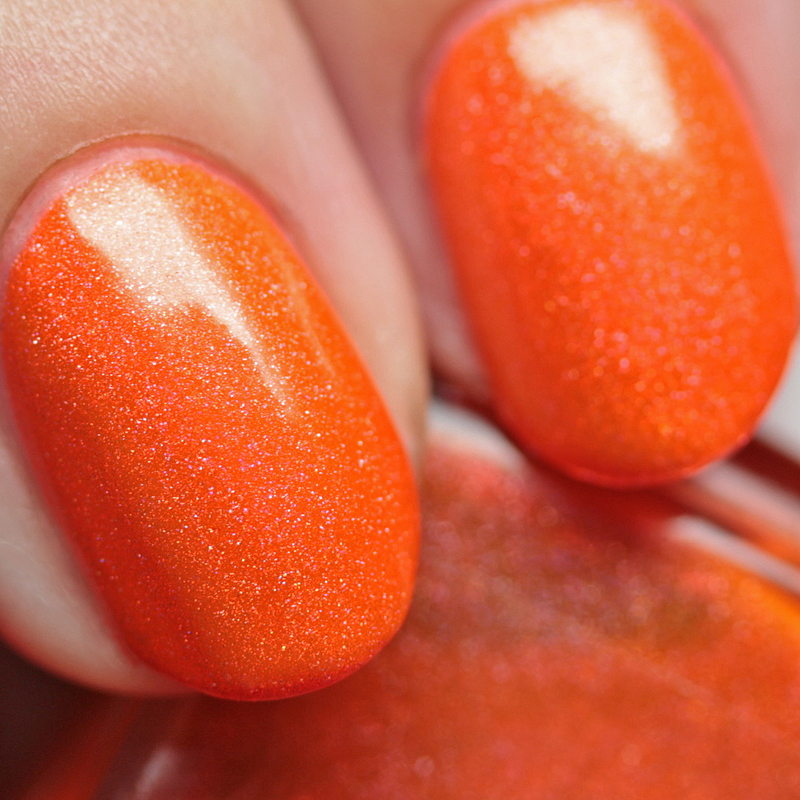 This is simply a must have for any neon lovers - and I don't throw "must have" around lightly, as I know most of us have enough polish to last us ages, lol. 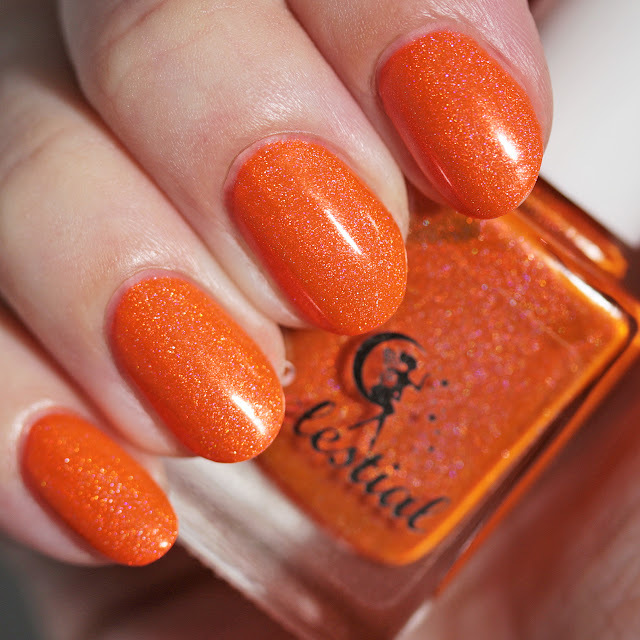 I will be back soon with four more shades from this collection! 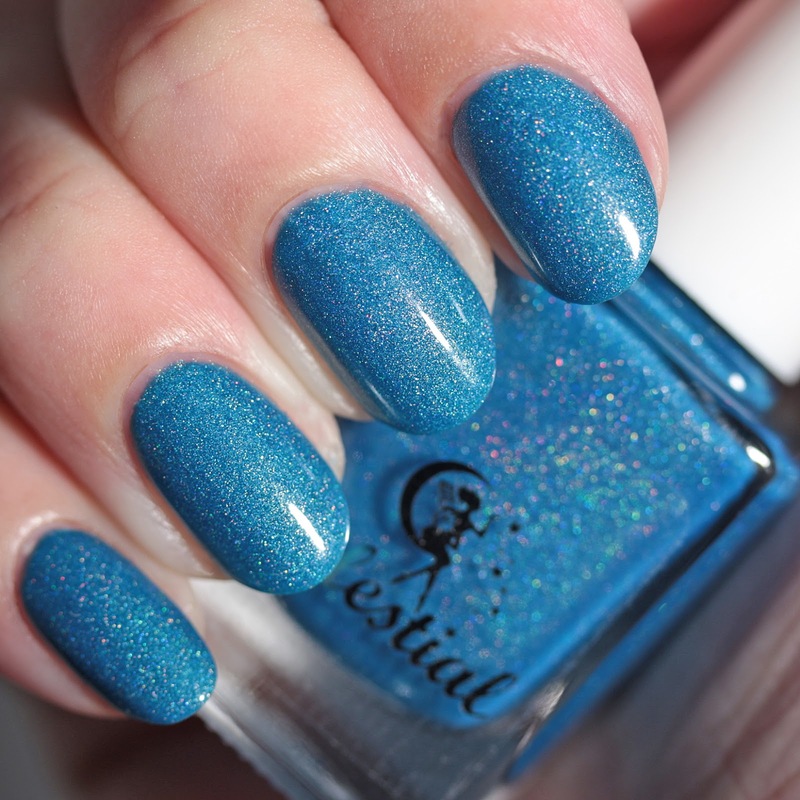 Celestial Cosmetics is made by Nicki in Port Noarlunga, South Australia. The line not only includes beautifully crafted holos, shimmers, cremes, and glitters, but stamping polishes. 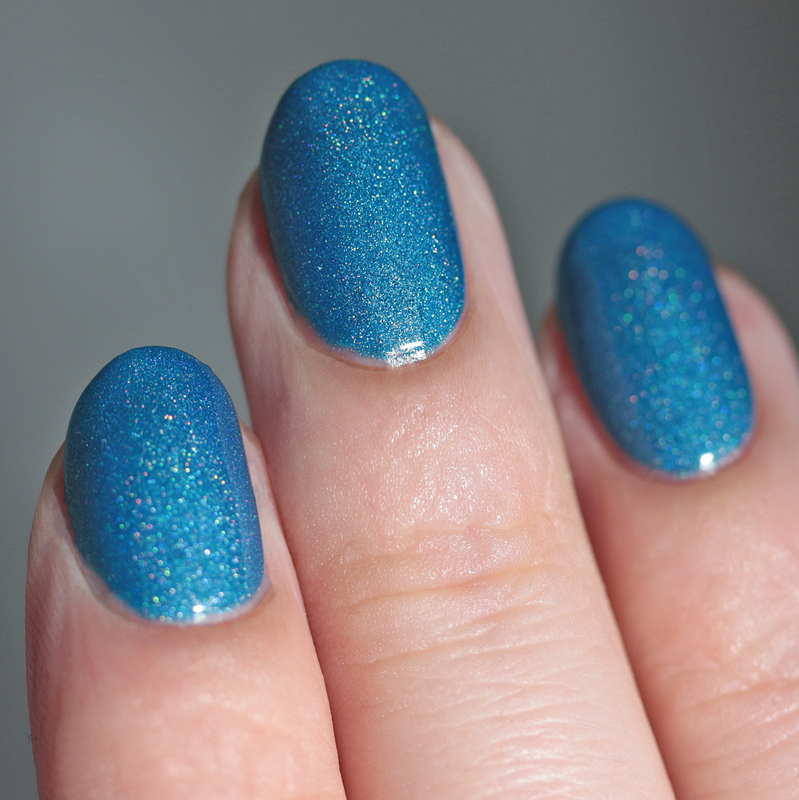 ILNP коллекция Winter 2015 "Cozy Mittens"